Sometimes, when you buy things online, the colour isn't quite the same when it arrives as it looked onscreen. Well, these are, definitively, SockShop Wild Feet 'Plain White Socks' Trainer Socks - it says so right there across the toes - leaving absolutely not one iota of doubt, no matter your computer, phone or tablet’s screen’s temperature or resolution. So, these three pairs of ladies SockShop Wild Feet 'Plain Black Socks' Trainer Socks are white. 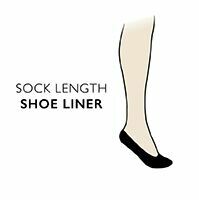 They are also soft, cotton rich and have comfortably flat hand linked toes for smooth seams, which, yes we admit, the socks don't tell you quite as clearly. Sorry about that.